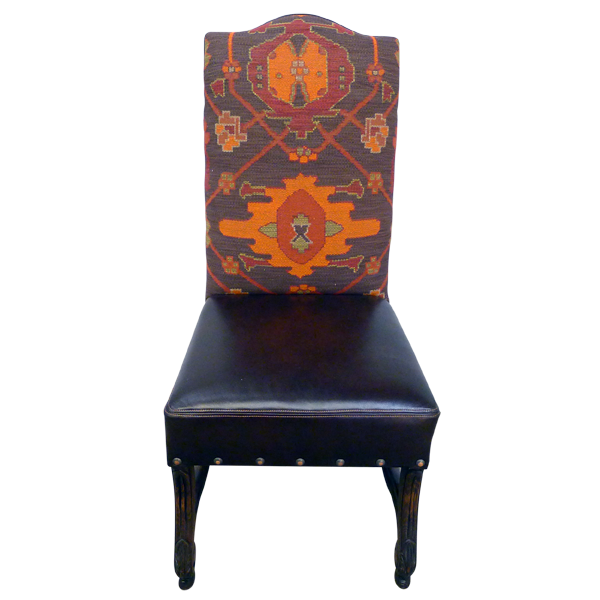 The seat back of this handcrafted chair is upholstered in orange and brown, Western designed, fine fabric that combines beautifully with the rich, dark full grain leather of the seat. 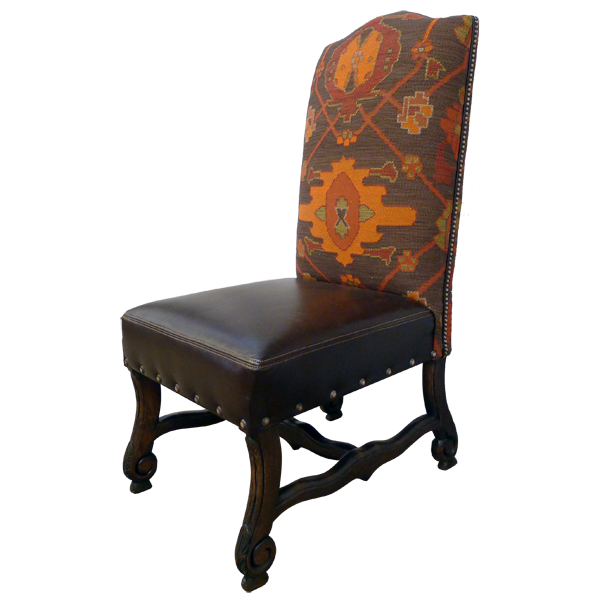 All of the upholstery is precision hand tacked to the wood frame by our skilled craftsmen. 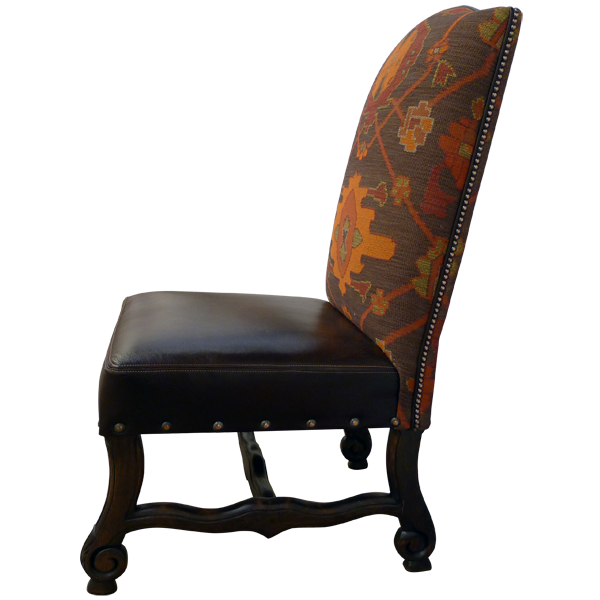 The sides of the base of the seat are decorated with hand forged gilt nails. 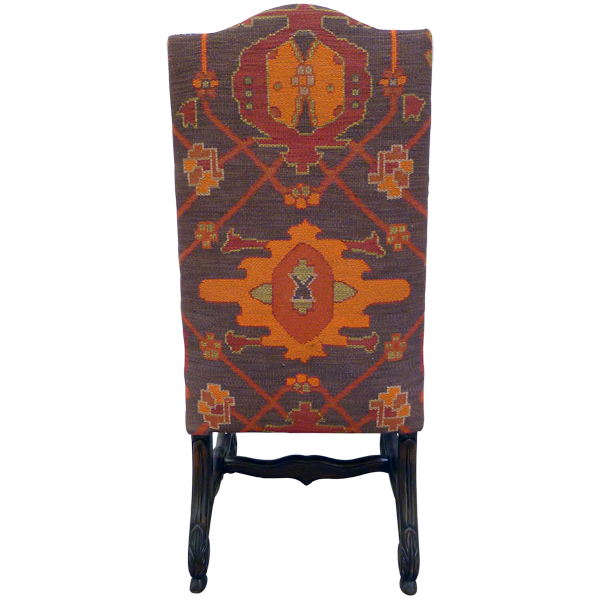 The front legs are exquisitely curved and hand carved with ornate scroll and floral designs. The legs are joined by an equally lovely shaped “H” stretcher. Both beautiful and durable, the chair is made with the best quality wood available. It is 100% customizable.